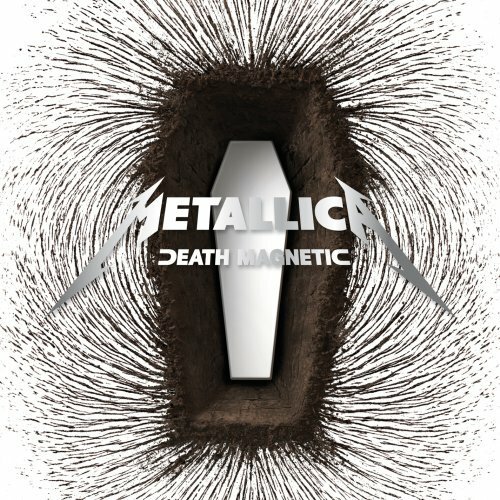 Can anybody get the "Death Magnetic" cover from iTunes? Discussion in 'Mac Apps and Mac App Store' started by bigwig, Sep 27, 2008. It bombs with "not found" for me. That's just how some of the CD album covers are aka Radiohead CD's as well. You're pretty much SOL unless you buy one of the tracks or get the CD cover at a lower grade quality somewhere else. Bugs me too but that's just how some of the album covers are. I downloaded the CD elsewhere and was able to get the artwork from iTunes. Make sure the CD title and band name are identical to what the album is listed in iTunes. I have a legit CD and the titles are correct. Still didn't work. I can see iTunes has a cover, but for some reason won't serve it. If you go to the Death Magnetic page in iTunes, you'll see that there is a picture of the band in the background where a cover usually is, and a mini cover in the corner. Maybe that's why it doesn't work. Annoyingly, iTunes won't figure out that if your album is called "XYZ", "XYZ (Bonus Tracks)" might be a potential match to your album and ask you if you want to download that cover if there is no exact match. If I am downloading covers I have to manually search (wasting lots of unnecessary time) for the album before trying to download, so I can stop those kinds of false negatives. Select all Death Magnetic tracks > right click > get info > drag this image into the artwork box. 500*400 pixels, so reasonable quality. Here's a different-styled one. What album covers iTunes won't get you, Google and Amazon.com usually will. Short of that, I just snap a photo of the CD cover!